Rural England CIC and Scotland’s Rural College (SRUC) have published a joint research report, supported by Amazon, which explores the economic potential from rural based businesses across the UK taking-up digital opportunities that arise from broadband, mobile and other networks. This project took an independent look at businesses’ use of digital connectivity, including how they use it, what benefits arise, what barriers they face and what future potential there is if barriers can be overcome. This is a topic of importance for the future success of the rural economy and its varied businesses. The e-economy is driving business efficiency, productivity and competitiveness, and is changing the way many go about their business. 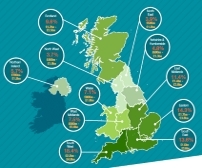 Unlocking the digital potential of rural areas across the UK could add between £12 billion and £26 billion (Gross Value Added) annually to the UK economy, according to estimates produced by this research. This would result from the additional turnover achieved by rural based businesses, which would be between £15 billion and £34 billion annually. The research shows that most of that productivity growth (more than £9 billion of the £12 billion) would come from micro-businesses which have between zero and nine employees. Many of the smallest are family run or home based. Indeed, the main potential from increased digital adoption in rural areas would come from assisting the bulk of ordinary small and micro businesses to raise their digital game. Whilst technology-driven businesses should not be overlooked, it is growing digital adoption across sectors such as agriculture, retail, tourism, construction, leisure and business services which will pay the highest productivity dividend. The digital appetite of rural businesses is illustrated by the fact that four in five of them believe digital tools and services will be important to their future growth. Cloud computing is seen as important by 67%, 5G mobile by 54%, the Internet of Things by 47% and Machine Learning/Artificial Intelligence by 26%. It is equally notable that over 80% of rural businesses which exported in the last year made use of online sales. The top export destinations were the EU (84% of exporters) and the USA (45%). Setting aside issues with online connection speeds and reliability, more than half (52%) of rural businesses face some other type of constraint that holds back their digital take-up and hence their performance. For the smallest businesses the key constraint is finding external or outsourced digital or IT support. For larger businesses a more important issue is recruiting people with appropriate digital skills. The benefits from the public sector’s sizeable investment in superfast broadband and mobile networks will only be properly realised if these other constraints are addressed in parallel. The report acknowledges that various digital policy initiatives and programmes exist already which are relevant to rural areas. Rather than creating new and similar rural structures, the report calls for existing national initiatives and programmes to take better account of rural business needs – a process often referred to as ‘rural proofing’. This would overcome their tendency to be urban-focussed or to overlook rural opportunities. * Stronger rural targeting by policies and strategies – making digital growth a key objective of post-Brexit rural business support programmes. Ensure the Industrial and Digital Strategies are rural proofed for their implementation. It is important that both public and private sectors work collaboratively to drive this agenda forward. * Use of the survey data and rural analysis to estimate the business turnover and productivity gains from addressing constraints to digital take-up.